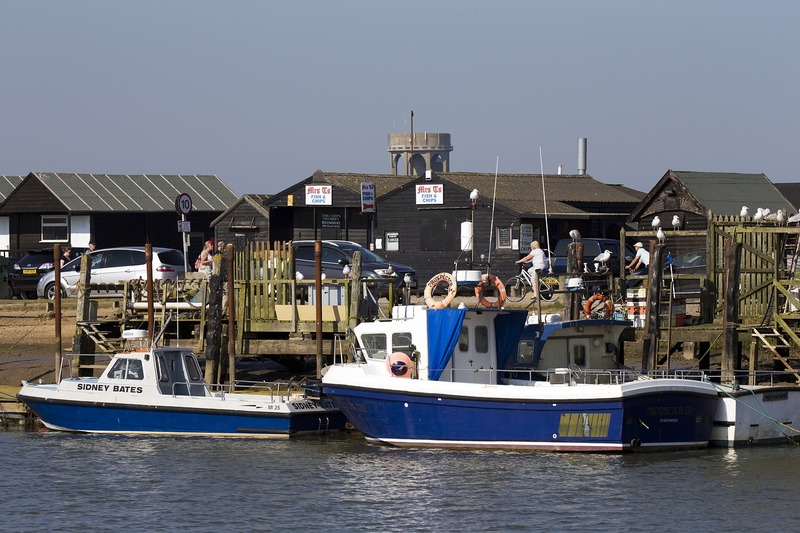 Southwold near Aldeburgh in Suffolk has always had a strong connection with seafaring and shipbuilding. As long ago as 1512 the town sent six shipwrights to help build Henri Grace a Dieu for Henry VIII. The town saw action during the C17th Anglo Dutch wars. In the third Dutch War the town was the headquarters of the fleet. Local people and other spectators watched the Battle of Sole Bay in 1672 from the cliff tops. Steamers carried goods and passengers between piers at Great Yarmouth, Lowestoft, Felixstowe, and London Bridge. 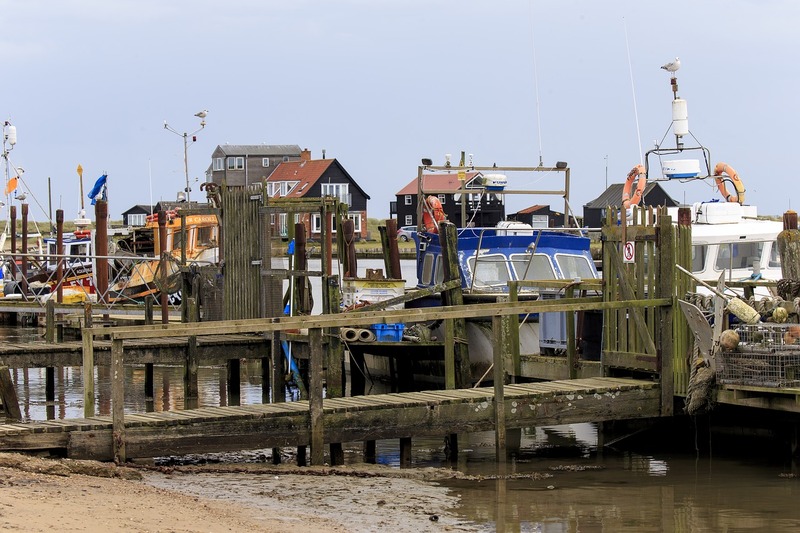 The steamer’s operator realised the potential for a pier at Southwold and opened the 810 foot pier in 1900. The original Pier had a timber-boarded pavilion. 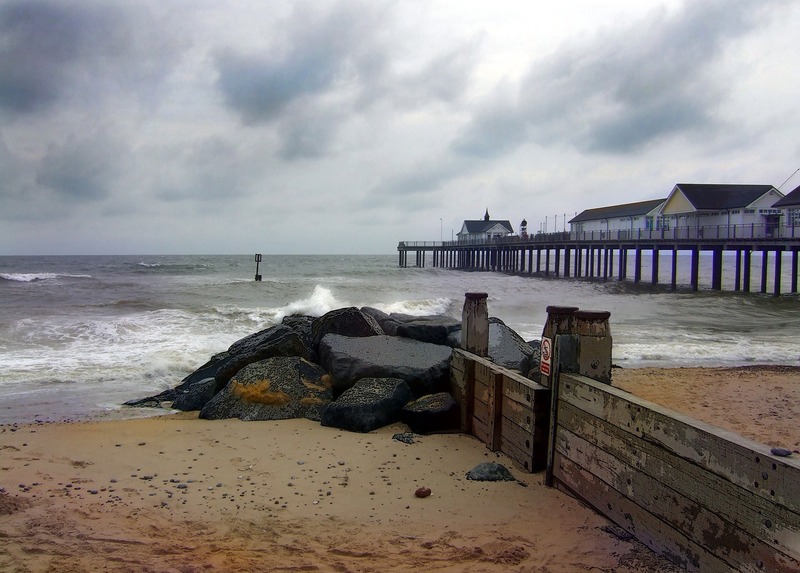 The pier has seen many improvements in recent years. In the C20th as road transport improved the steamer trade declined but the town has flourished as a resort. It is also a popular location for films and television. There are four Regency ‘marine villas’ on Gun Hill, around the six Elizabethan canons pointing out to sea; these include elegant Stone House, stylish South Green Lodge, and striking Grade II listed Southwold House. The Royal Ordnance presented the six, eighteen pound, guns to the Corporation in 1745 for defence. The last time they were fired was in 1842. Sole Bay Inn is a stones’ throw from Adnams Brewery, a Grade II listed building which dates from c1835. Sitting at the foot of the lighthouse, it too has Gault brick walls. It bears a naval signal mast with a lantern. In the C19th the Sole Bay Brewery grew up in the yard of The Swan. Ernest Adnams bought and rebuilt it forming Adnams Ltd in 1890. The brewery grew producing its much-loved ales but it diversified in the 1970s and 80s. It is now a national brand and its products include wine and spirits. There is a 1.2m flint wall surrounding the church. In the church yard there are C17th, C18th and C19th headstones, with the finest ‘listed’ examples south and east of the church. St Edmunds’ Church is one of the finest medieval seaside churches in England. It was built C15th, taking 60 years to complete, and is witness to the wealth of the town’s wool merchants. The knapped flint flushwork patterns are purely decorative and do not add support to the building. The two story porch has an arched entrance and a parivse chamber above. The porch and 100 ft tower are both examples of East Anglian flint flushwork. They have both knapped and un-knapped flint. The Society for the Protection of Ancient Buildings (SPAB) has information about flintwork. Above the window of St Edmund’s the message in the flintwork reads SCT. EDMUND ORA P. NOBIS which means St Edmund pray for us. Previous PostSouthwick on the road from Brighton to Shoreham has lovely historic features and links to its farming past.